Marketing research and consulting. Decades-long relationships of trust with main international companies, value for money logic, simple and flexible organizational systems, blend together with solid merchandise expertise that allows the management of complexities that are typical of the dental sector. Business that is strongly focused on the DentalMonitor project. An integrated information system of specific research for the analysis of the dental sector. Diverse methods for the collection and processing of data, which cover the main and most attractive segments of the dental market. 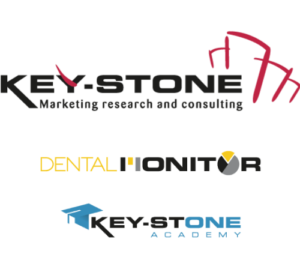 Various training courses for the dental industry and for dental practices: market research, reading and interpretation of marketing data, evolutionary dynamics of the sector, management in dentistry, and more. COACHING ON REQUEST: custom-made training dedicated to specific subject matters and targets within the areas of marketing, sales and business development. DMP: a Dental Management program, structured in modules for easy use, is dedicated to the entrepreneurial vision and management in Dentistry. Addressed to the dentist-entrepreneur and the extra-clinical personnel, it provides all the necessary tools for the taking in of the best strategic decisions and the organization of a managerial system. DOM: a course curriculum for young professionals Dental Office Management responds to the growing demand for structured dental clinics to hire a professional figure trained in management, marketing, financial planning and business strategies in the dental sector: the Dental Office Manager. It’s the turning point for your business. Under the company name of Semios Edizioni Srl, it offers marketing and communication services. 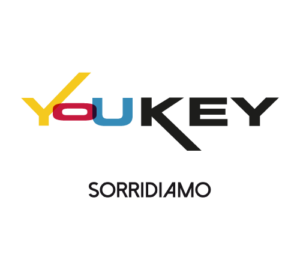 Thanks to its synergy with Key-Stone, it boasts a specific and distinguishing know-how in the health and beauty sectors, with a particular focus in the dental sector. Magazine of patient information on oral health, smiling and well-being. It contains an integrated offer of services to support dentist-patient communicating.